About 80 percent of young eels put into aquaculture pools in Japan in December and January may have been smuggled from Taiwan via Hong Kong, according to trade data and sources close to the matter. 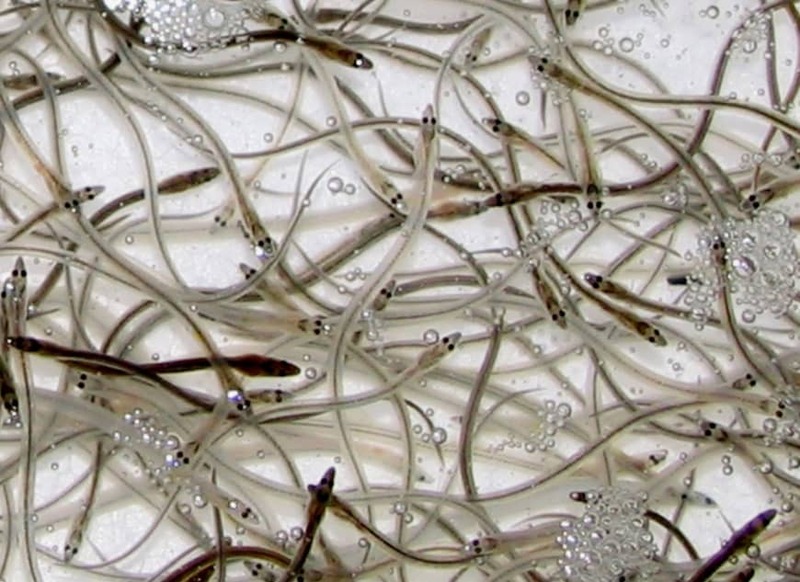 Around 6 tons of juvenile eels were imported to Japan from Hong Kong in those two months, according to government data, but Hong Kong does not engage in eel fishing, raising suspicions about their origin. Industry observers say most may have been illegally brought from Taiwan, which bans eel exports. The eels start their spawning migration in the waters of East Asia and are designated as a species at risk of extinction by the International Union for Conservation of Nature due to deteriorating habitat conditions and overfishing. Eels are a prized summer delicacy in Japan, but imports of young eels could spark international criticism at a meeting of parties to the Washington Convention in Sri Lanka, which will open in late May. The members of the international pact, officially called the Convention on International Trade in Endangered Species of Wild Fauna and Flora, are expected to discuss enhancing transparency in eel transactions. According to Finance Ministry trade statistics, Japan imported about 1.6 tons of young eels in December and about 4.4 tons in January from Hong Kong. Meanwhile, none were shipped from mainland China and Taiwan, although they catch the fish. During this period, 6.2 tons of juvenile eels were put into aquaculture ponds in Japan, according to the Fisheries Agency. The figure was higher than the previous year, when the catch of young eels was extremely poor, but far lower than the 11.3 tons of two years earlier. About 5 tons of the 6.2 tons is believed to have been shipped from Hong Kong, while the remainder was caught domestically, the sources said. 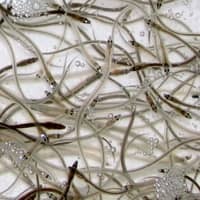 The catch of young eels in Japan has been declining, with only about 1 ton taken in December and January, the first two months of the fishing season through April — with the catch for the whole season likely to be a record low. Young eel imports to Japan from Hong Kong increased dramatically after Taiwan introduced an export ban in 2007. “Japan faces a critical situation as most of the domestically farmed eels are obtained through suspected illegal trade,” said Kenzo Kaifu, an associate professor of conservation ecology at Chuo University. If the resource is not properly managed across the entire East Asia region, there will be growing calls for a legally binding international framework to protect the species, Kaifu said. “It is also important for Japanese consumers to clearly oppose to the situation,” he added.